Scientists (?) have combed every inch of that lake with sonar, radar, special scanning devices. Never found a damned thing. Bupkis, I tell ya. IMO, if there's a large prehistoric creature living somewhere on this planet, we won't find it in a lake--even a big deep lake. It will be in the ocean. There is such a living fossil, and it was found at sea--the coelcanth is thought to have evolved to its present form 400 million years ago. Looks like the edge of a submerged log to me. But that doesn't mean it isn't still a monster! So like a fool I go to the link - it says he was following for 5 - 10 minutes and this is the best picture he got? Could be almost anything - the picture from 1935 or whatever was better. I went to Lochness too - quite a long time ago to hopefully view Nessie - damn it was so rainy and misty - you can't see barely anything. Probably the worst tacky move I ever did as a tourist. That and the everglades tour where the air boat driver was feeding marshmellows to an alligator so we could get pictures of the critter. Why - was Nessie seen on Mars? I hope you're happy now . 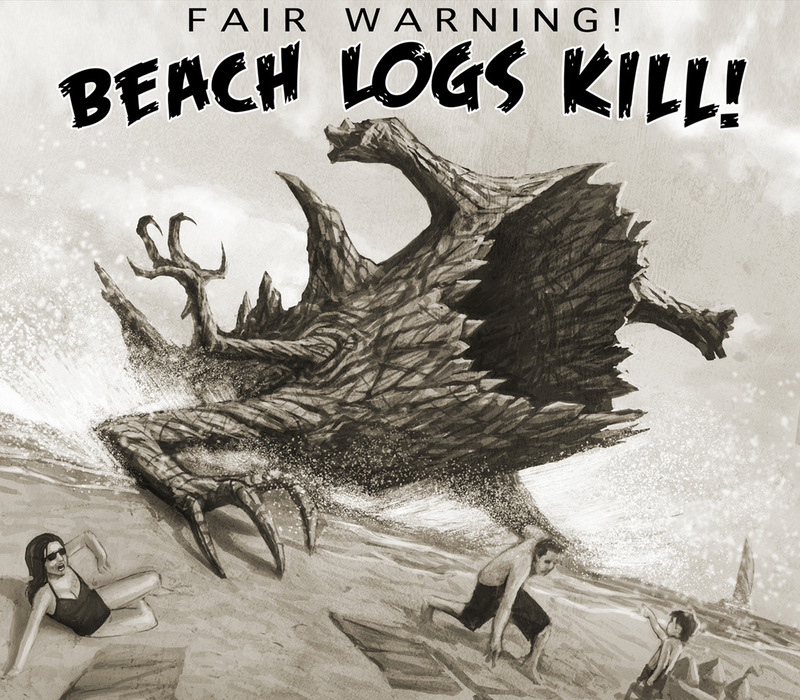 . . i'll never go to the beach again. Hey, Mr. Smartie. 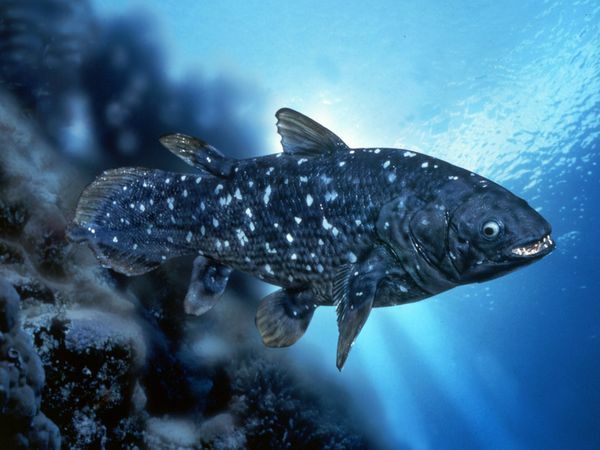 I know about coelacanths. I haven't been living under a rock. I don't view an ancient fish as a monster. Aren't we talking about monsters? Dinosaury types? All I'm saying is that if there is some monster thingie swimming around, it's probably in an ocean. Yeah, we calls 'em sea serpents. Unfortunately, there ain't no good photos of them available either. Oh, that means it must be August. That's when news agencies run low on real news. I recently picked a 18 old single cask which is begging to be opened. Imbibe enough of that nectar of the gods and you'll see several Nessies at once. I generally keep my eyes closed when imbibing the nectar of gods.